Hiroki Ishikawa travels the world in pursuit of enchanting trails for trail running. 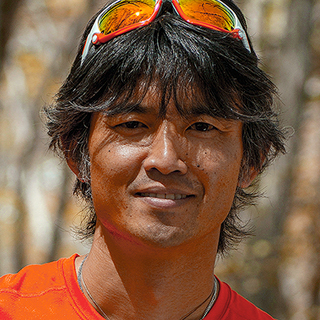 His work as a pro athlete began when he became Japan’s first professional trail runner. After participating in numerous domestic and overseas races, he focused his efforts on championing the positive attributes of trail running. Hiroki travels throughout Japan as an event instructor and race producer. Author of Trail Running for the Fun, published in Japan by The Whole Earth Publications Co., Ltd.